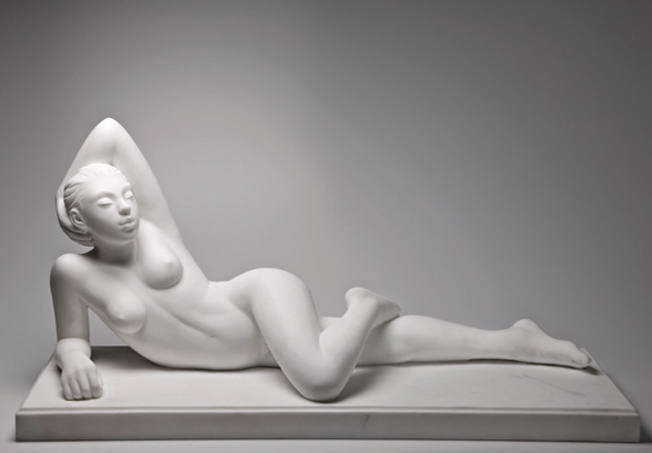 “Soleil II” one of my sculptures, made of white Statuary marble, is on view at the Stanza dei Guglielmi, above the theater in the city of Massa, along with an exhibition of period photographs of the work of the marble quarries. The exhibition is timed to coincide withy the “Campionato Mondiale di Corsa in Montagna” which takes place tomorrow, Sunday, the 14th of September, 2014. There are 800 athletes from all parts of the world, slated to participate. To read the article which appeared in the Tirreno, visit their website, linked here. 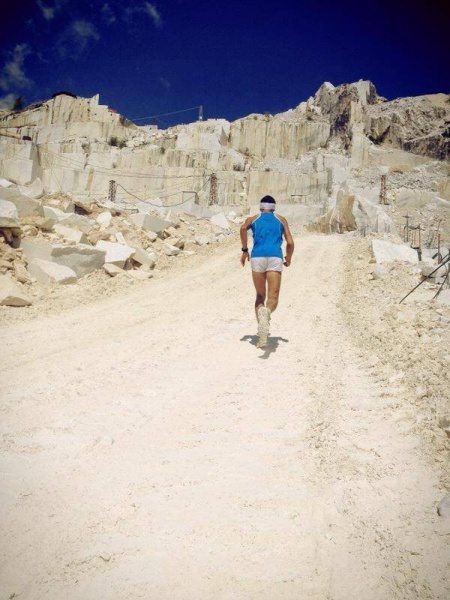 The photo of the runner in the quarries is from the La Gazzetta di Viareggio website, linked here. To find out more about the World Championship of Moutain Running, visit their website, linked here.